Did you know that your Xero dashboard has customisable features? Many Xero subscribers simply ‘plug and play’ when they set up their Xero account. Xero’s dashboard is the screen you probably spend the most time on, yet you have no say in what information is displayed where. Or do you? 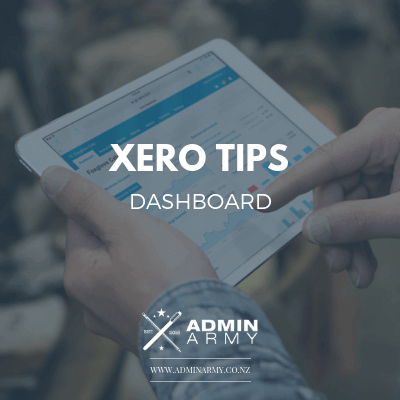 There are a few cool ways that you can adjust Xero’s dashboard to ensure the information displayed is meaningful and suits the way you process information. You don’t have to have the dashboard laid out the way Xero lays it out for you. For example, if you look at the bottom of your dashboard (generally underneath all of your bank accounts) you will see the total cash in and out report. This is a really useful little graph that visually displays how much money has come in and gone out in your business over the last few months – and most importantly, what the difference between the two is. On the right of the dashboard, there is an edit dashboard button. Click on that, and then drag and drop the dashboard boxes to where you want to have them. While editing, you can also choose to hide boxes so they no longer show up on the dashboard (just click the hide button). Once you have clicked save, any changes you’ve made will be in effect straight away. Want to see this in action? Check out the video below. The account watchlist is a really useful way to be able to track how much income, or how many expenses have gone through various account types. We wouldn’t recommend adding every single account type to the watchlist, because you can go to your profit and loss statement for that, but it’s a great idea to add some to your dashboard so you can keep track of how things are going. One example that can be really useful is for your advertising – e.g. if you’ve got AdWords or Facebook charges going through that you reconcile from the bank account, you can add them to your watchlist to see how you are tracking for that account cost centre as you go through the month. Once you’ve saved the account, if you go back to the dashboard, you’ll see the account watchlist is now displayed. Need more help? Check out the video below. Another way you can personalise your dashboard is with Business Performance Reports. These are wee snapshots of how different areas of your business are tracking. These graphs show you various calculations on how your business is tracking. If you’re not sure what they mean, definitely arrange a time to sit down with your accountant to gain some clarity so this information becomes useful to you. Accounts receivable days – how long is it taking people to pay the invoices you’re sending out to them. From the business performance screen, you can easily add any of the reports to your dashboard by clicking the star to the left of the report name. No need to click save, simply head back to the dashboard to see these reports on the main page. We upload regular tips and tricks to our Xero Bootcamp with Admin Army Facebook group to help you get the most out of your Xero subscription. Interested in some of the other Xero tips we have shared? Overwhelmed and need a hand with your bookkeeping? Contact us today and we can help you sort through your business finances. Previous readingWhat Is Payday Filing? Next readingAre You Holding Your Own Small Business Back? How Much Time Are You Wasting Every Week? Are You Holding Your Own Small Business Back?